Published annually, the World Atlas and companion Industry Guide provide a comprehensive snapshot of the hydropower industry. One of the main editorial features of the World Atlas is the comprehensive survey of hydropower and water resources development. This is researched and updated each year, and today represents input from more than 180 countries. The individual country reports (arranged by continent) are based on the responses to detailed questionnaires which are sent each year to high level contacts at national and regional power and water authorities worldwide, and some national committees of professional associations. Other features include comprehensive statistics on hydro potential, dams under construction, RCC dams, concrete faced rockfill dams and dams with asphaltic facings or cores. These clearly show trends in the role played by hydropower in each country’s energy mix, and priorities and achievements in dam construction worldwide. Editorial Comments, reflecting the state-of-the-art of water resources development, dam and hydro engineering, and irrigation and drainage, are contributed each year by the Presidents of international professional associations such as ICOLD, ICID, IWRA and others. 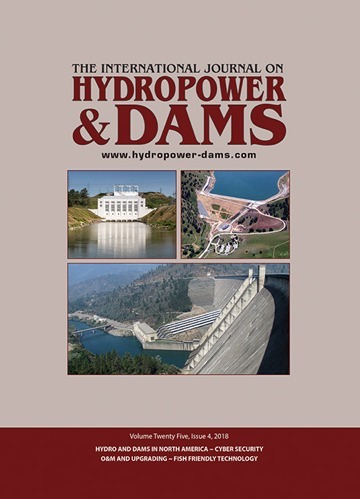 Created ten years ago as the first online service for the hydropower and dam engineering professions, the Guide is regularly updated, and now contains full contact details and descriptions of more than 1300 active companies in 180 countries: from project developers and financiers, to manufacturers and specialist consultants. The Industry Guide is also printed in the World Atlas.